Is Your Network Ready for the New Era? 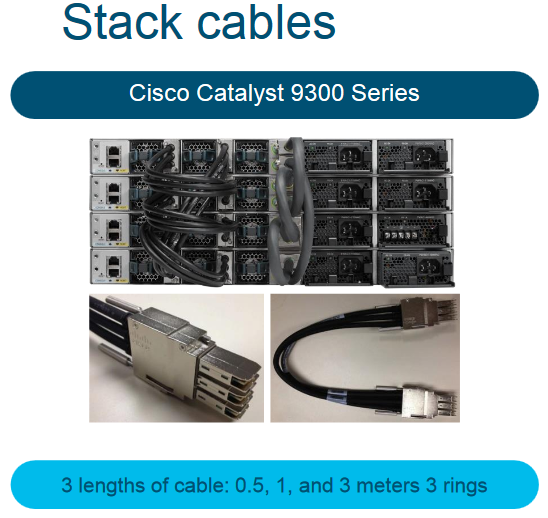 Cisco announced its new Catalyst series switches-the Catalyst 9000 Series, introducing an entirely new era of networking. The Network. Intuitive. 1. Catalyst 9300 Series (LAN Access Switches): the top fixed-access enterprise network switch series, stacking to 480 Gbps. 2. Catalyst 9400 Series (LAN Access Switches): the leading modular-access switches for enterprise, the Catalyst 9400 Series supports up to 9 Tbps. 3. Catalyst 9500 Series (LAN Core and Distribution Switches): the industry’s first fixed-core 40-Gbps switch for the enterprise. In this article we will talk about the new Catalyst 9300 Series, the Next Level of the Market-Leading Fixed Access Switching Platform. 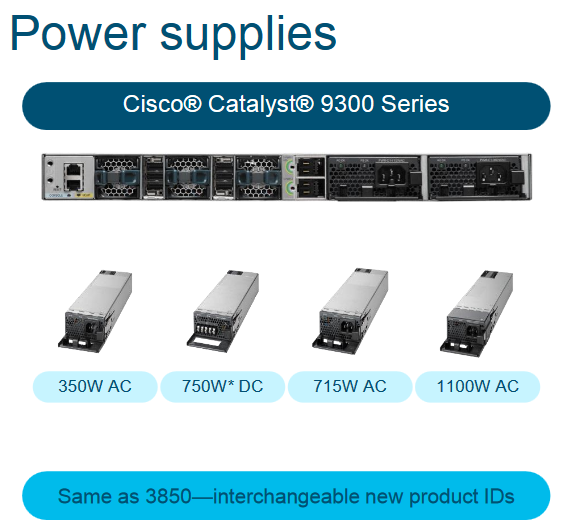 Will the Catalyst 9300 replace the Catalyst 3850 Series? Definitely, it is the best replacement for the Catalyst 3850 Series. Why? 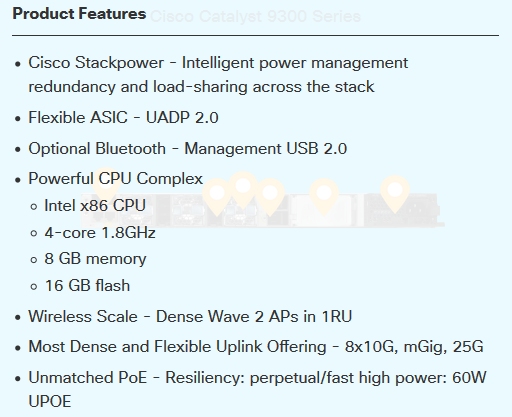 Let’s check the more detailed features of the Cisco Catalyst 9300 Series. The Cisco Catalyst 9300 Series is made up of seven different switch models. Any of the models can be used together in a stack of up to eight units. 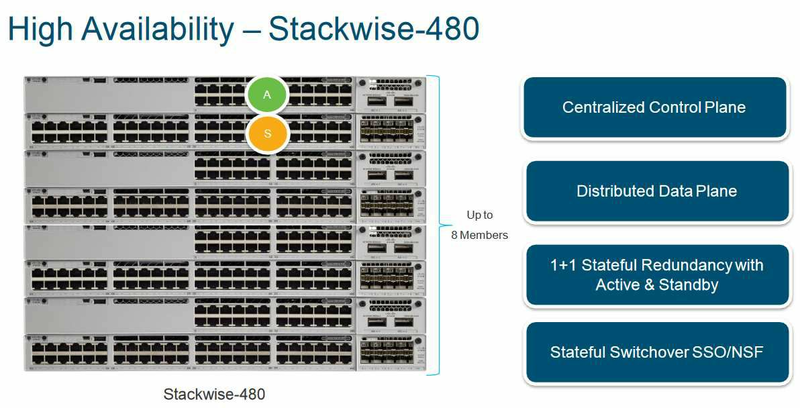 The Table below lists port scale and power details for the Cisco Catalyst 9300 Series models. The Cisco Catalyst 9300 Series Switches support optional network modules for uplink ports. The default switch configuration does not include the network module. When you purchase the switch, you can choose from the network modules described in the following Table. Please note: Existing 3850 network modules are also supported in the Catalyst 9300 Series platforms. 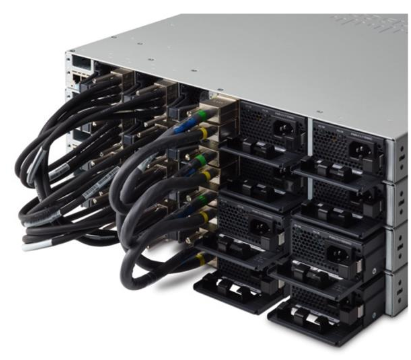 The Cisco Catalyst 9300 Series Switches support dual redundant power supplies. The switches ship with one power supply by default, and the second power supply can be purchased when the switch is ordered or at a later time. If only one power supply is installed, it should always be in power supply bay #1. The switches also ship with three field-replaceable fans. Table3 lists the different power supplies available in these switches and available PoE power. ● Perpetual PoE: With Perpetual PoE, the PoE power is maintained during a switch reload. This is important for IoT endpoints such as PoE-powered lights, so that there is no disruption during switch reboot. ● Fast PoE: When power is restored to a switch, PoE starts delivering power to endpoints without waiting for the operating system to fully load, thereby speeding up the time for the endpoint to start up. Cisco Catalyst 9300 Series Switches run on Open IOS XE 16.5.1a release or later. This software release includes all the features listed earlier in the Platform Benefits section. PT Cipta Inovasi Teknologi didirikan pada tahun 2012 oleh orang-orang yang profesional dan berpengalaman dalam bidang teknologi informasi. Kami memiliki fokus solusi teknologi informasi meliputi segmen finansial, law firm, manufaktur, distribusi dan retail, transportasi dan education. PT Cipta Inovasi Teknologi merupakan sistem integrator yang menyediakan layanan end to end meliputi IT Infrastruktur System dan Aplikasi serta Services, seperti structure Cabling System, Data Center Room Fasility, Network Equipment, Network Security, Server & Storage, Backup System, IP Collaboration System, Maintenance Services, IT Infrasturctur Consultan, Network & Security Audit & IT Training. PT Cipta Inovasi Teknologi menyediakan solusi dari pricipal-principal yang terpercaya seperti Polycom, Hewlett Packard Enterprise, VMware, Brocade, Ruckus, Epson, Jabra, ShoreTel, Ymeetee. Kami mendengarkan, peduli, dan memberikan solusi sesuai dengan kebutuhan pelanggan sehingga bisa memberikan solusi yang terbaik dan tepat guna.